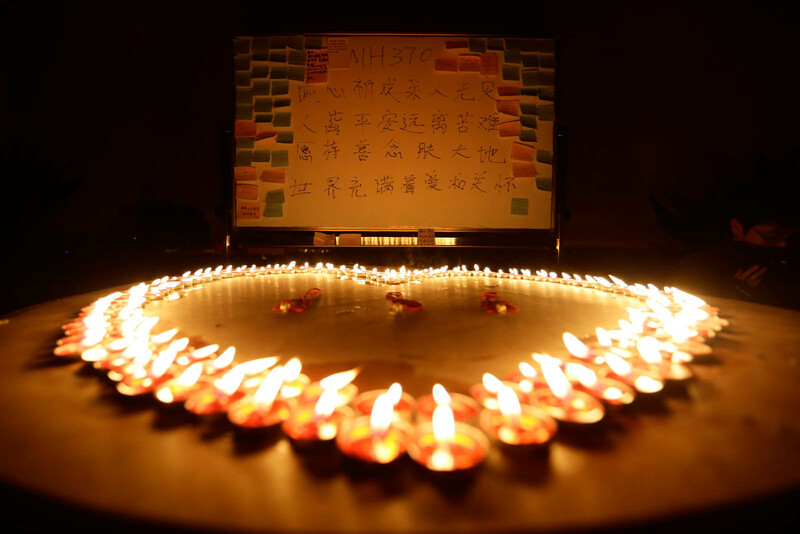 CYBERJAYA - While the world remains stumped by the mystery of flight MH370, no sorrow can be greater than the grief of the families and friends of those who disappeared with the plane. 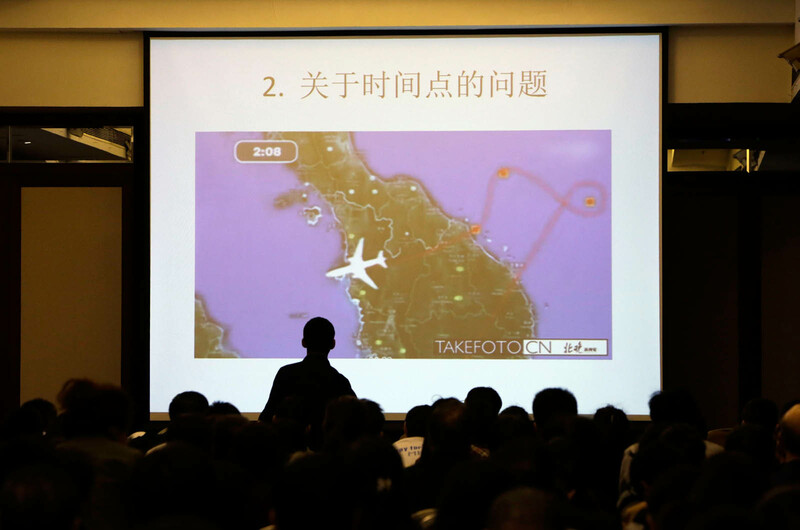 A total of 239 passengers and crew vanished with the plane about an hour after take-off from the KL International Airport (KLIA) on March 8, leaving no clear indication of where it had deviated to. 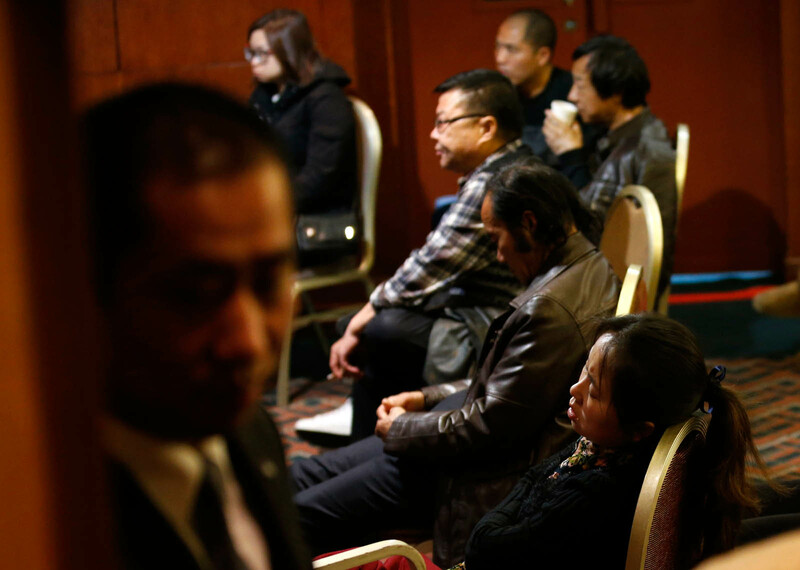 About two-thirds of those on board were Chinese nationals and some two dozen of their relatives had travelled from Beijing to Kuala Lumpur since March 11 with hopes of finding their missing loved ones. 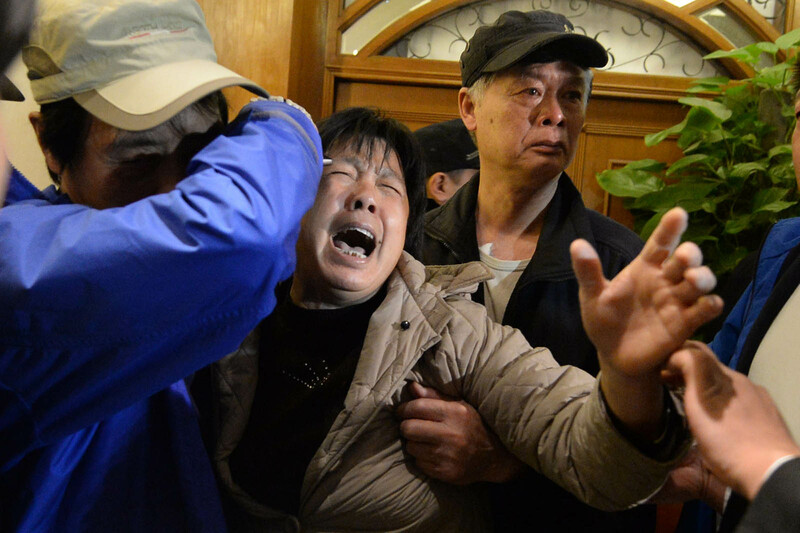 Their accommodation and most other expenses in Kuala Lumpur had been shouldered by Malaysia Airlines (MAS), just so the next-of-kin could be closer to the source of information on the search and rescue mission for the Boeing 777 aircraft. 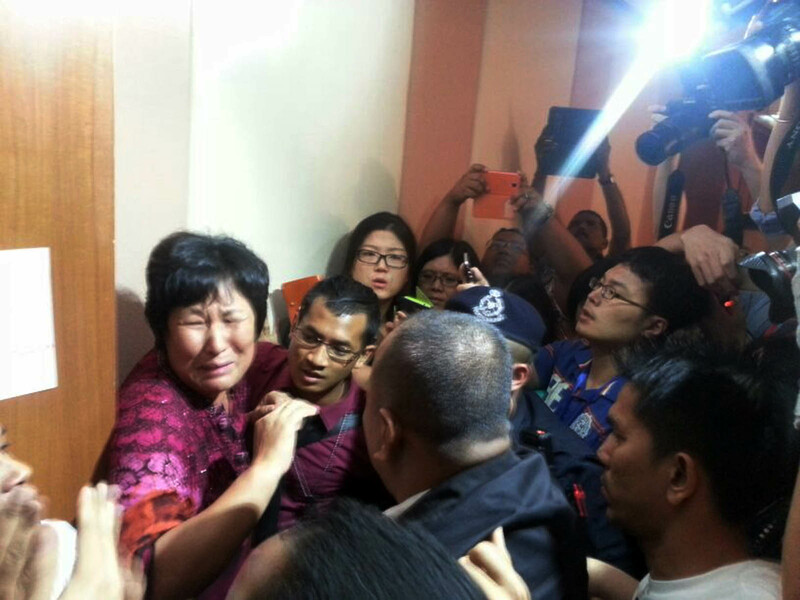 But two weeks have passed since the incident and the Chinese relatives in Kuala Lumpur have experienced nothing less than a roller-coaster ride of emotions. 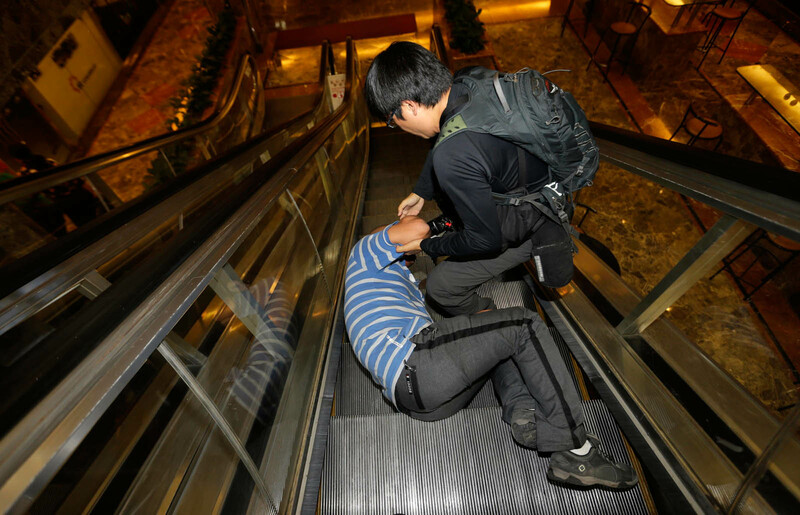 A few of them retaliated with great irritation as soon as they had arrived in Kuala Lumpur as they fended off news-hungry journalists. 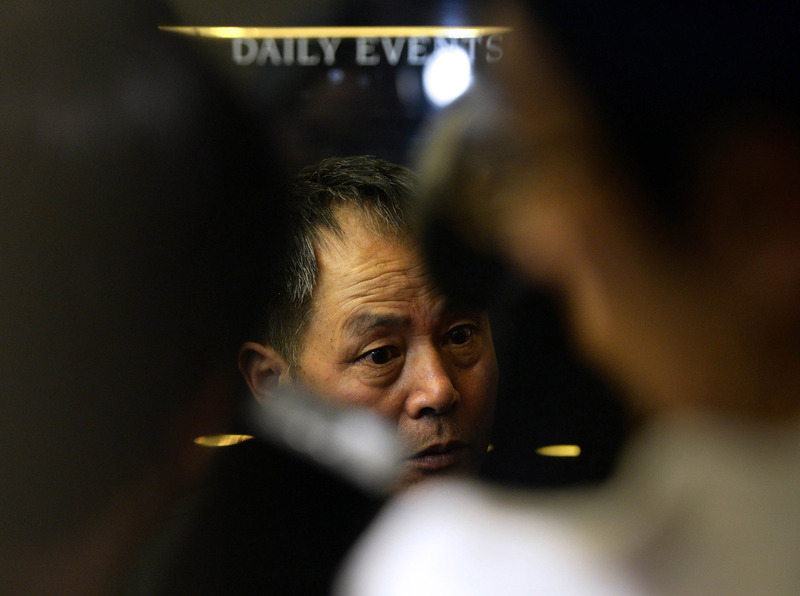 Left alone to themselves, they talk to each other in soft conversations, with a sombre expression. 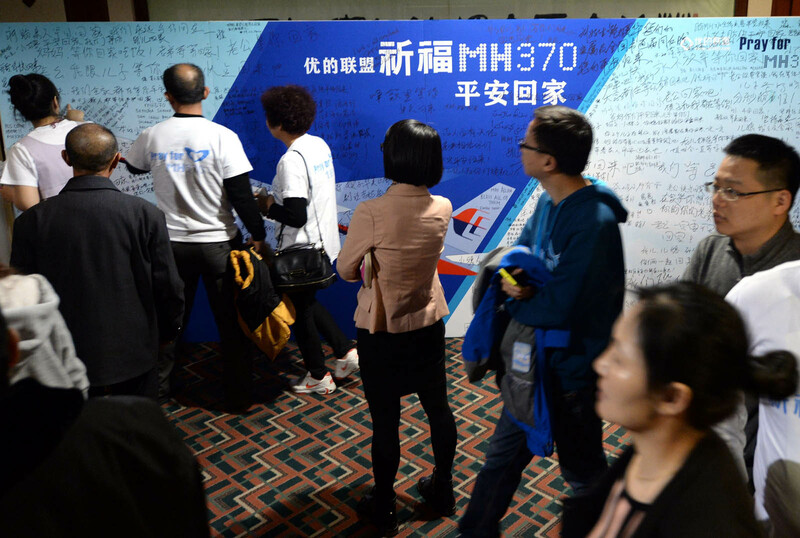 Their daily activity include countless hours with their electronic gadgets as they diligently studied every theory and conspiracy spun by the world in relation to MH370. 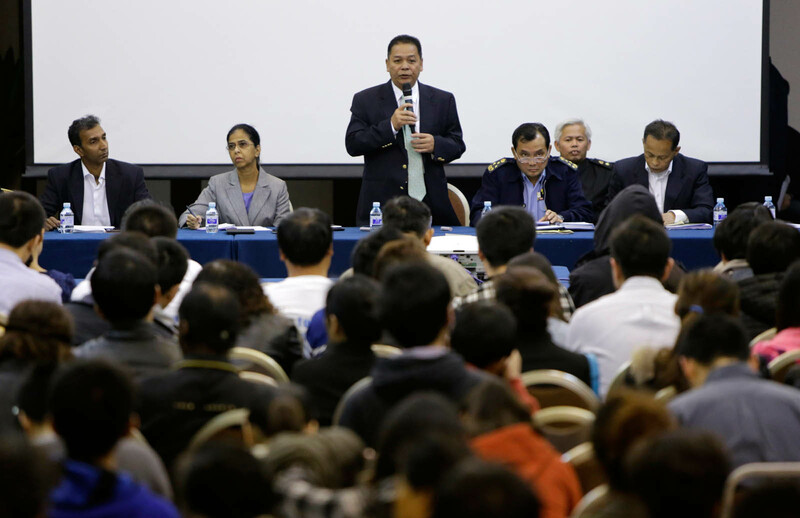 At other times, they would engage in light conversation with volunteers from the Tzu Chi Buddhist Foundation. 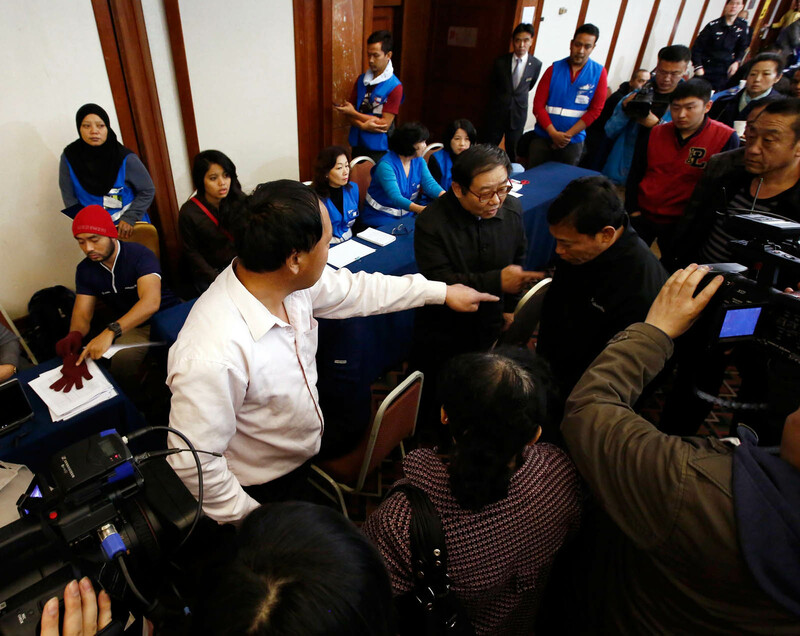 When news came that Prime Minister Datuk Seri Najib Tun Razak would make a special announcement on the Saturday afternoon of March 15, there was a tinge of excitement on their faces. 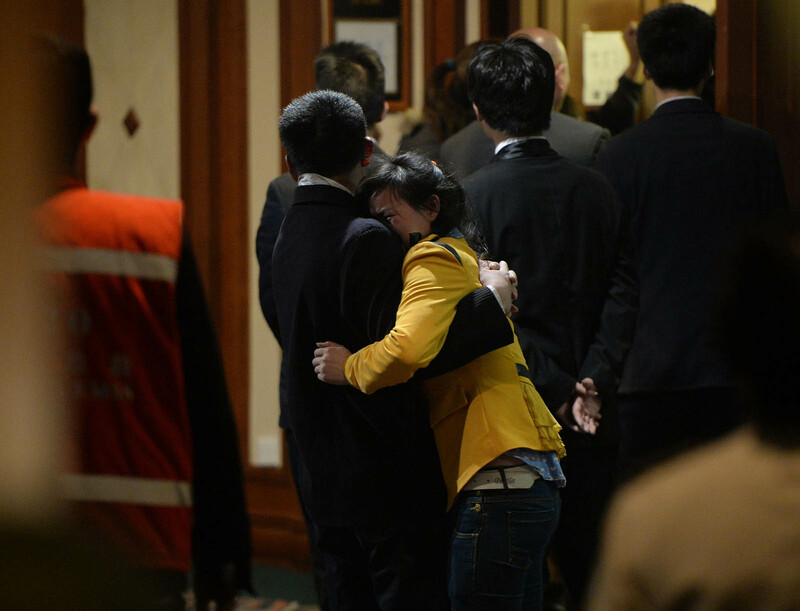 Their chatter in thick accents became more quick-paced, each wondering if "this would be it". 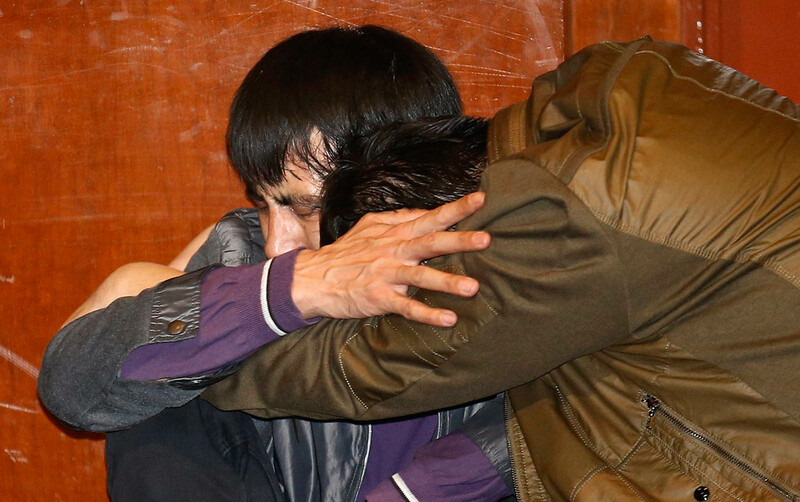 "Will we finally get to bring our families home?" 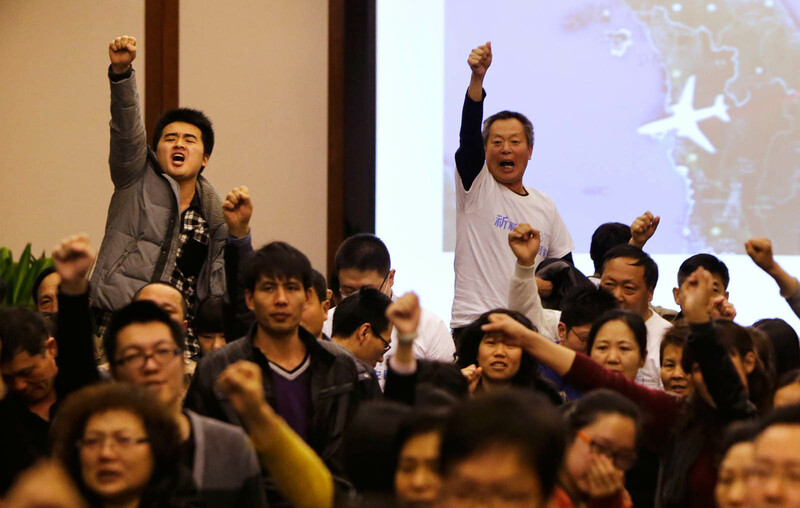 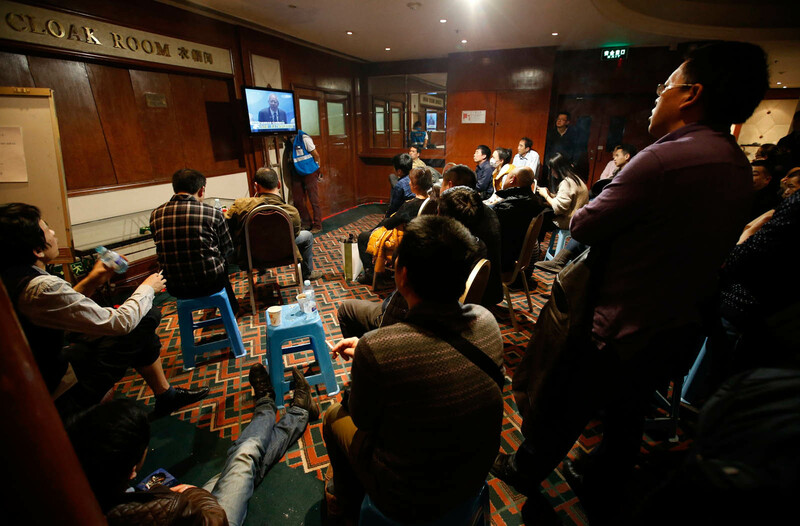 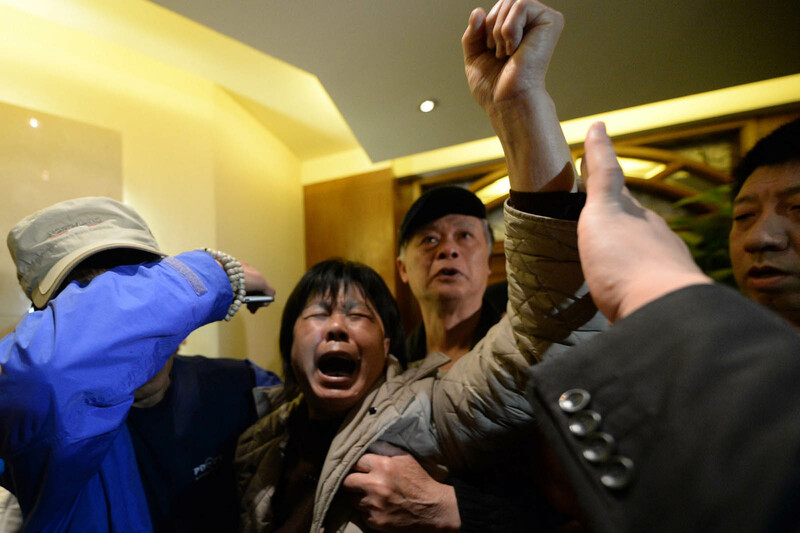 After the live telecast in which Najib confirmed that the MH370 was deliberately deviated from its original flight path to Beijing, the excitement on the faces of the families was no longer there. 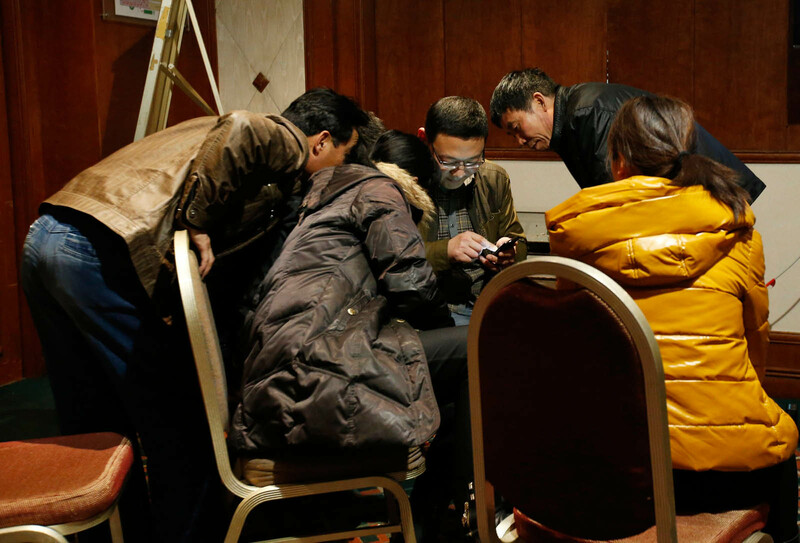 The families were fed with updates on the search and rescue mission by embassy officials and selected Malaysian authorities in person daily but that sign of hope has yet to reappear on their faces. 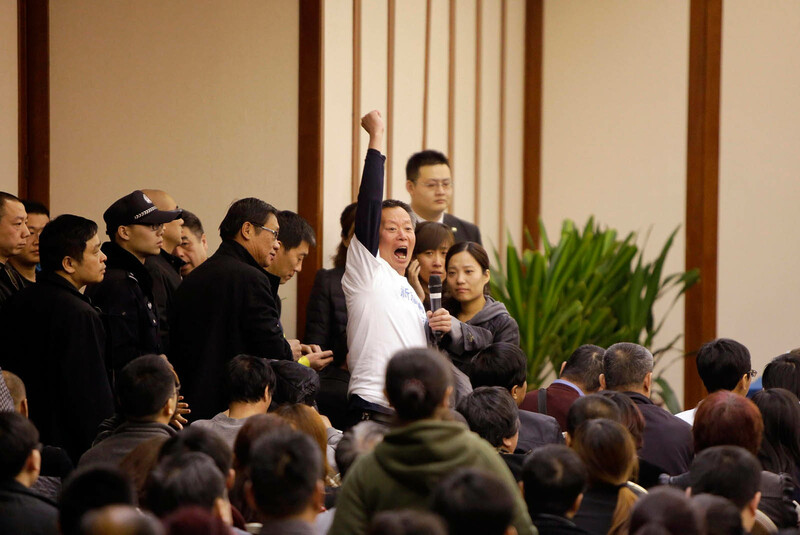 Like their counterparts who had chosen to remain in Beijing, their biggest gripe was about being bogged down by many questions and possibilities but having few answers to confirm them. 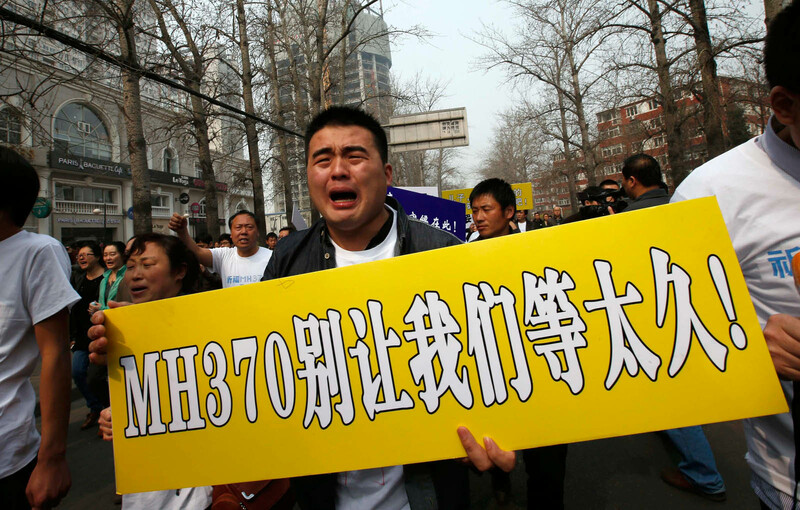 Not knowing what had happened to their loved ones on board the MH370 has rendered them helpless, pushing them to the point of exasperation. 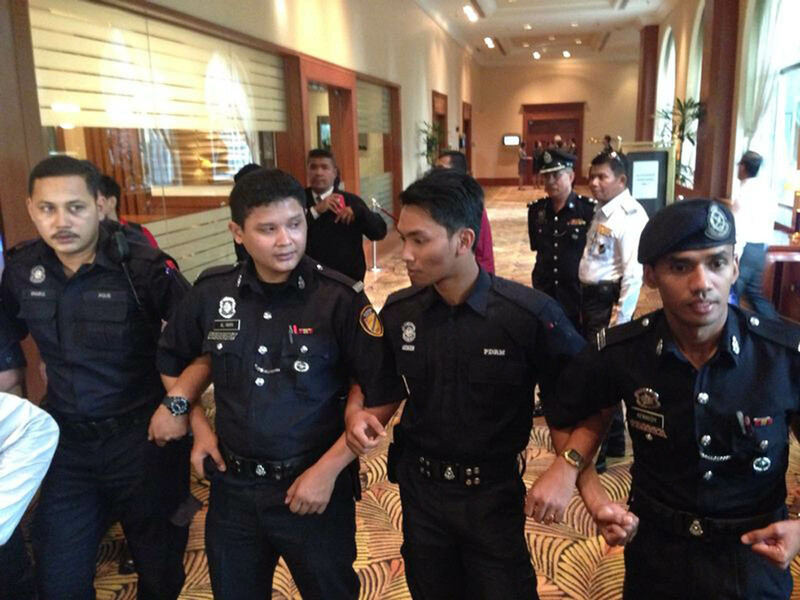 Several even staged a commotion in the KLIA Sama-Sama Hotel on Wednesday just before Acting Transport Minister Datuk Seri Hishammuddin Hussein was to deliver his daily press briefing. 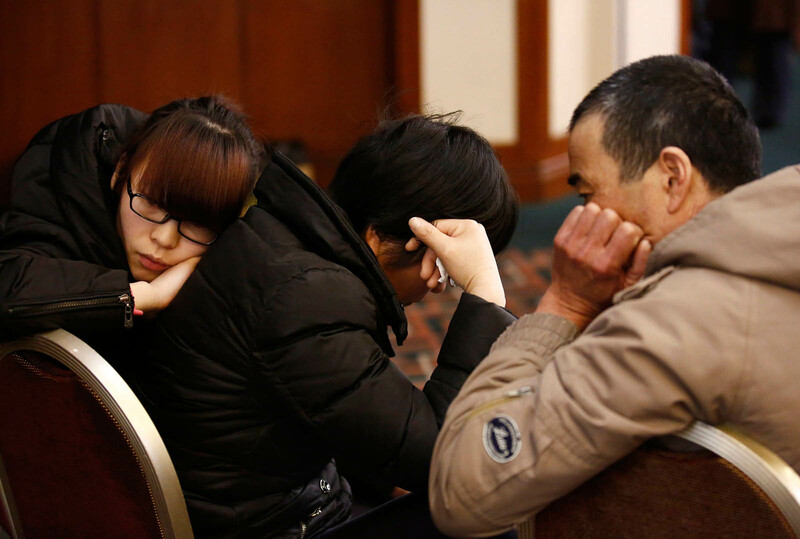 Even when Australia revealed the next day of its discovery of two objects possibly related to the search of the missing flight, the families had little emotions left to show. 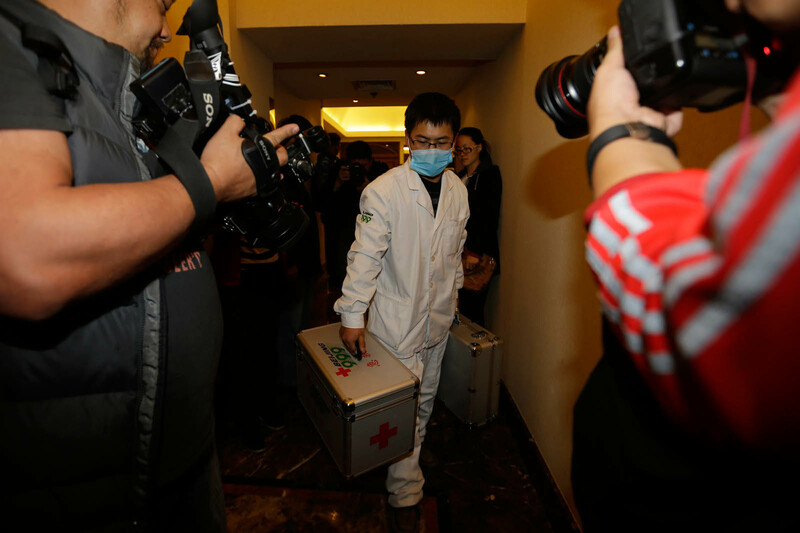 A meeting between the families and high-level Malaysian government officials was held in the hotel the same night but as one next-of-kin of a Malaysian passenger, Hamid Amran, put it: "We are not satisfied with the answers." 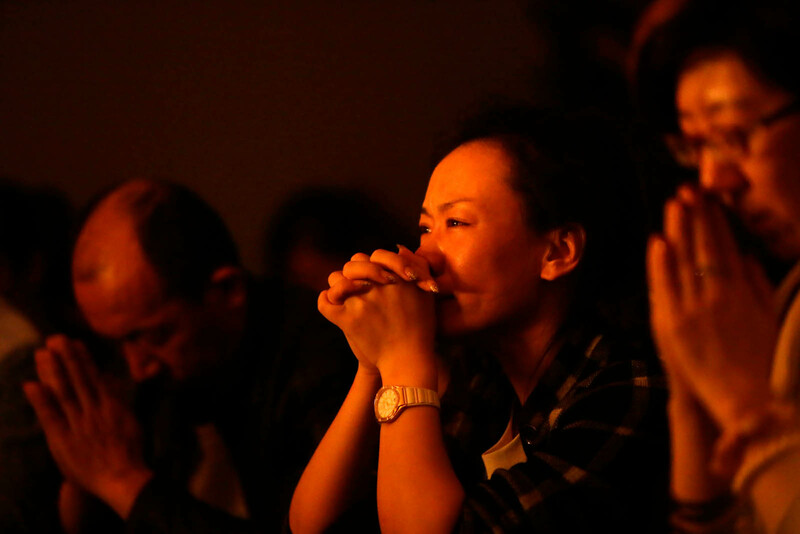 Until and unless some form of closure is delivered to them, they know that no expert speculation in the world will ever patch up the void in their hearts. 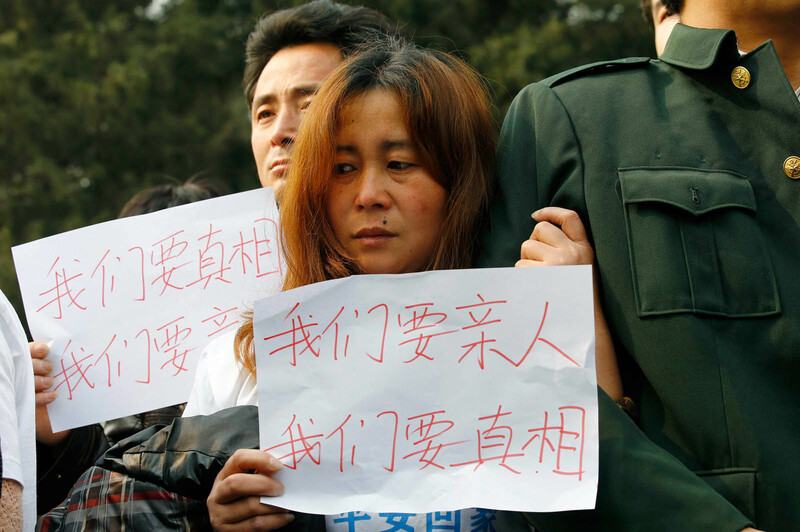 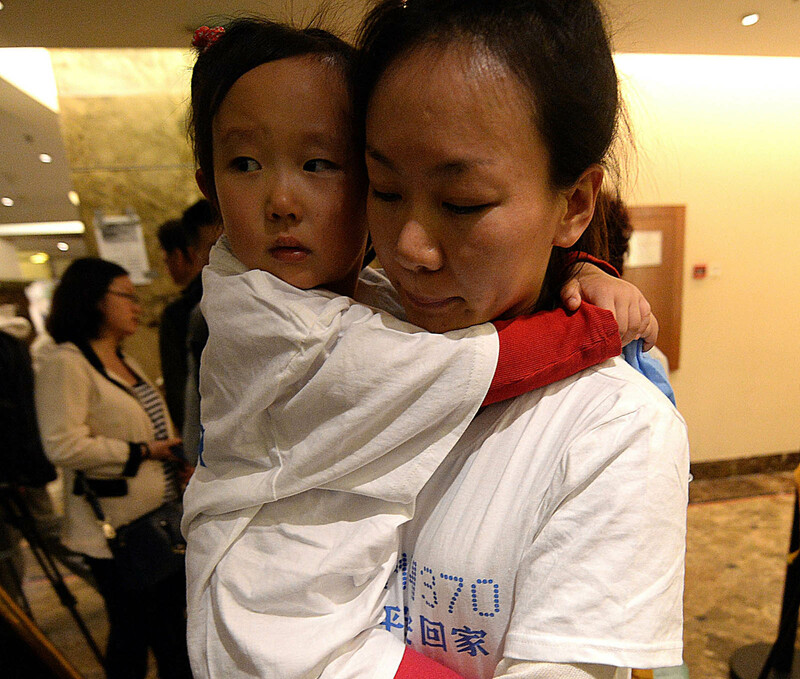 Family members of passengers onboard the Malaysia Airlines Flight MH370 hold papers as they protest outside Lido Hotel in Beijing, March 25, 2014. 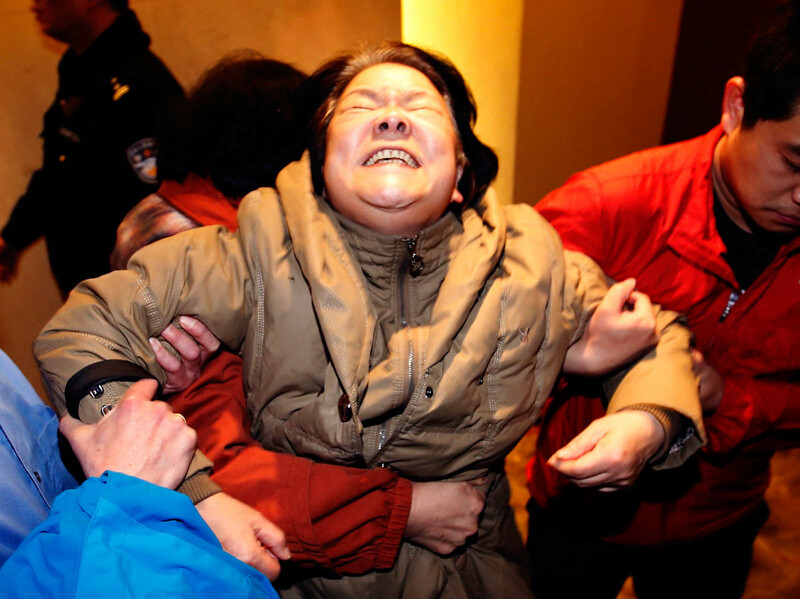 Relatives of Chinese passengers on the missing flight screamed, cried and collapsed on the ground after Najib announced the jet ended its journey in the remote Southern Indian Ocean. 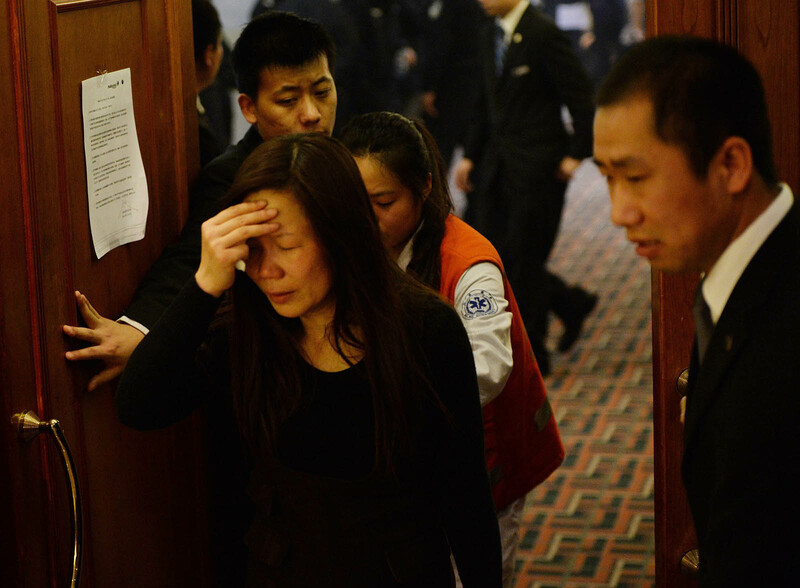 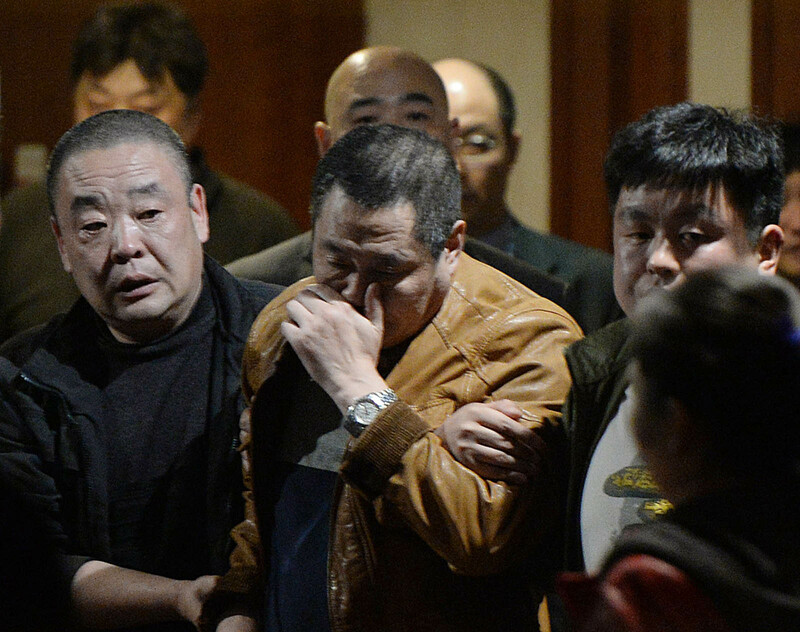 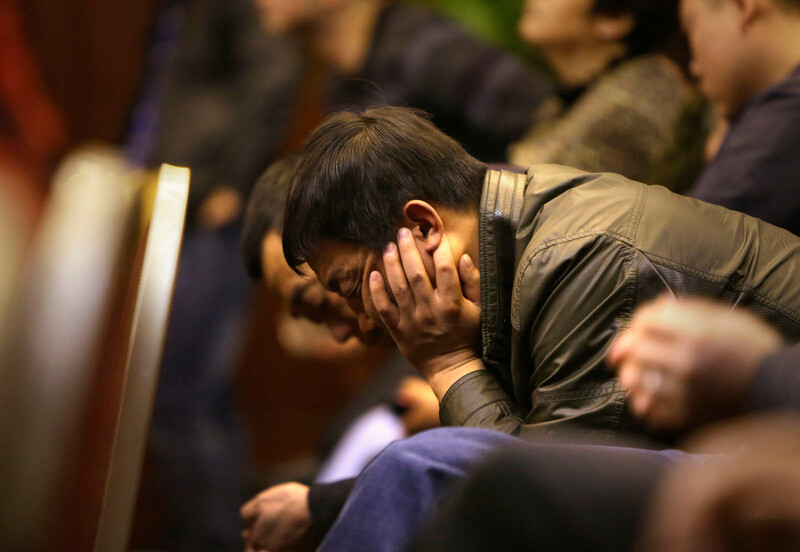 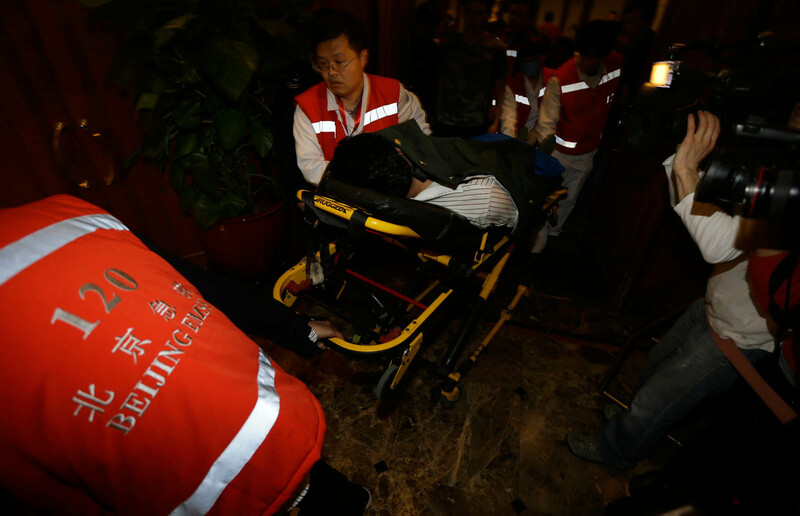 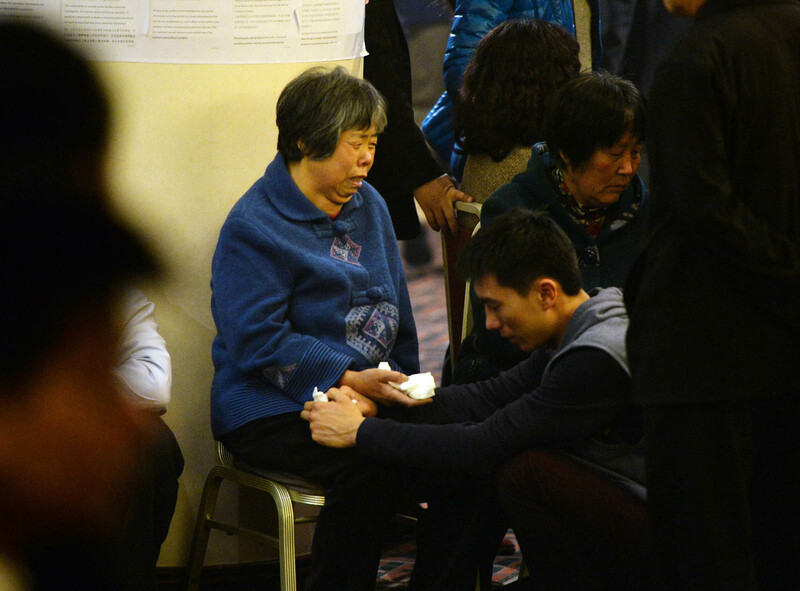 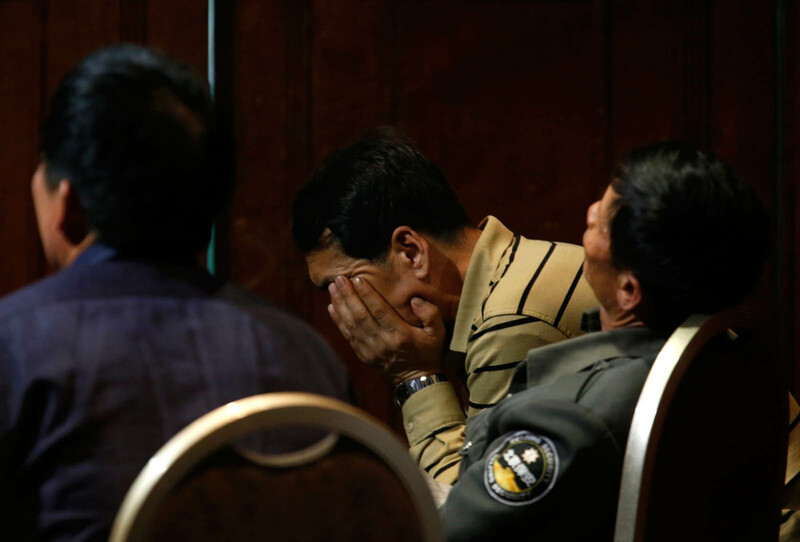 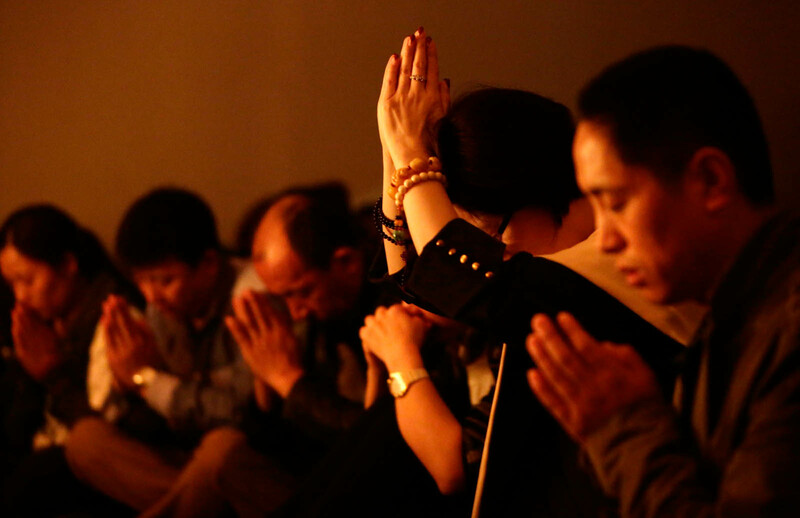 Tears and cries of inconsolable pain and loss echoed from a Beijing hotel ballroom as the relatives of MH370 passengers learned the news: their loved ones were dead. 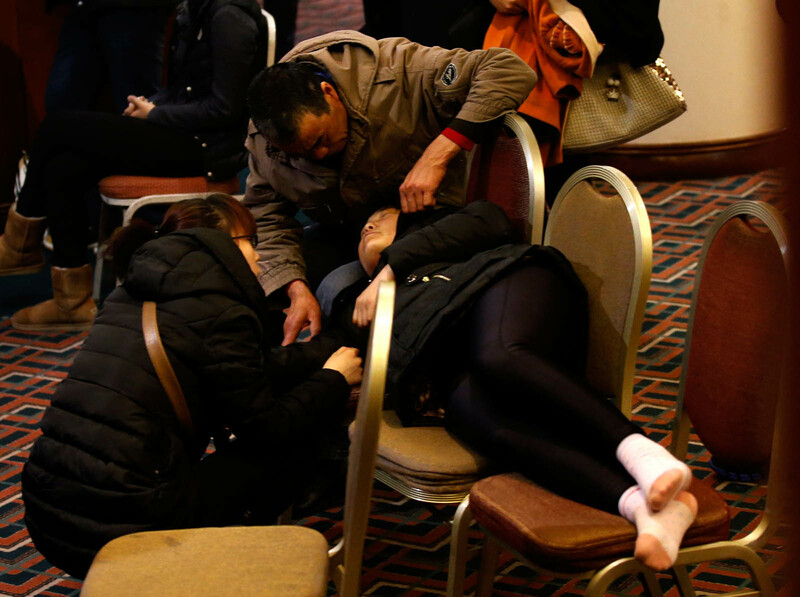 Some clung on to other family members for crumbs of comfort as they left the room where they were told the Malaysia Airlines flight had ended, incontestably, in the remote southern Indian Ocean. 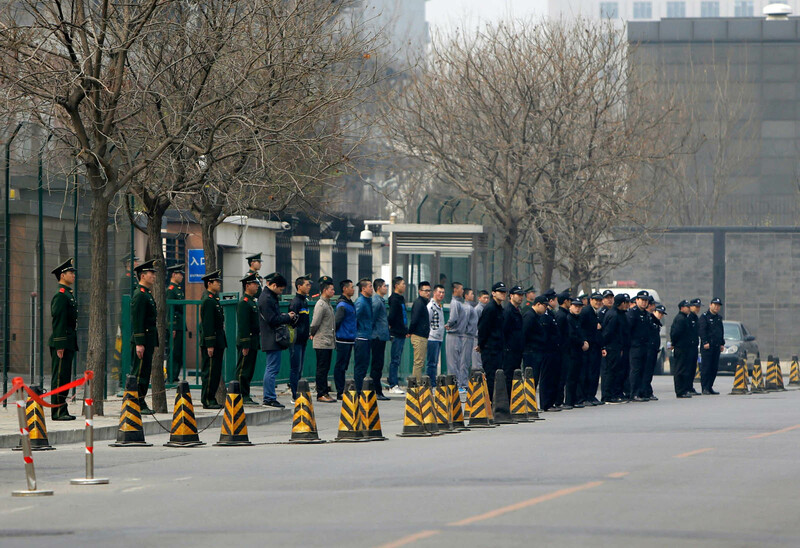 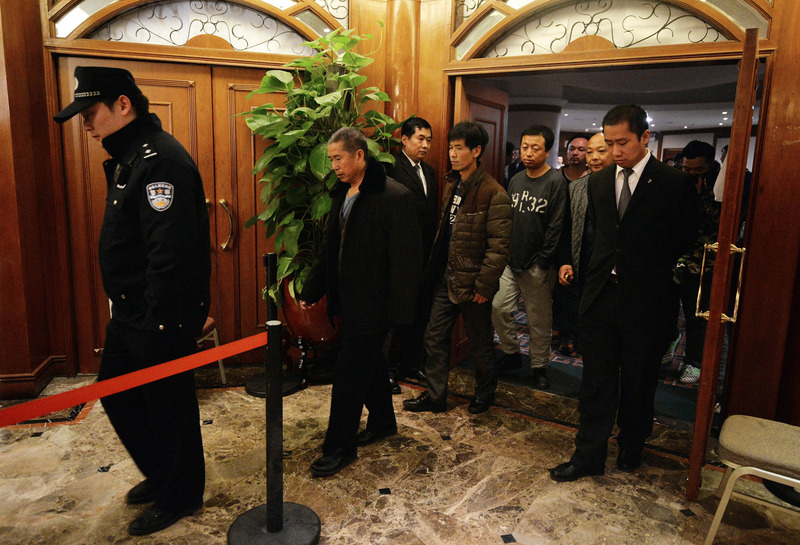 Tight security was deployed at the hotel and security guards had quickly shut all glass doors at the hotel entrance to protect the privacy of the grieving families. 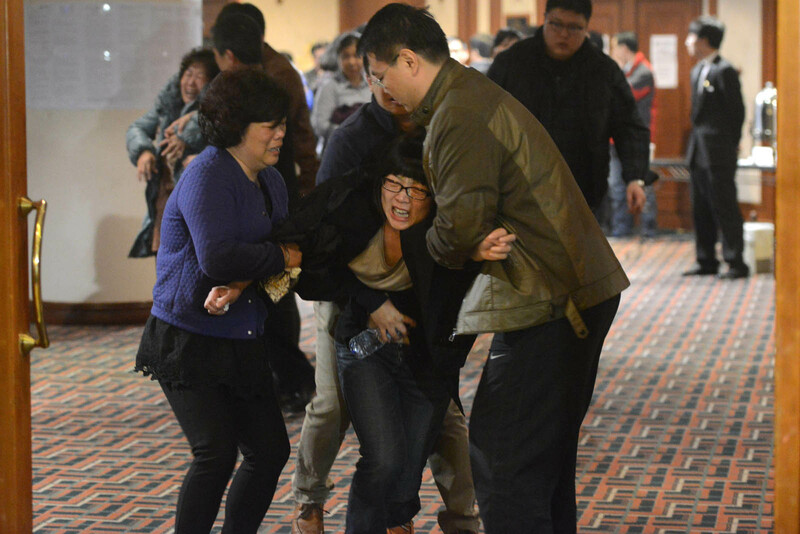 Several relatives were weak-kneed and had to be supported by others as they tried to evade the multitude of cameras. 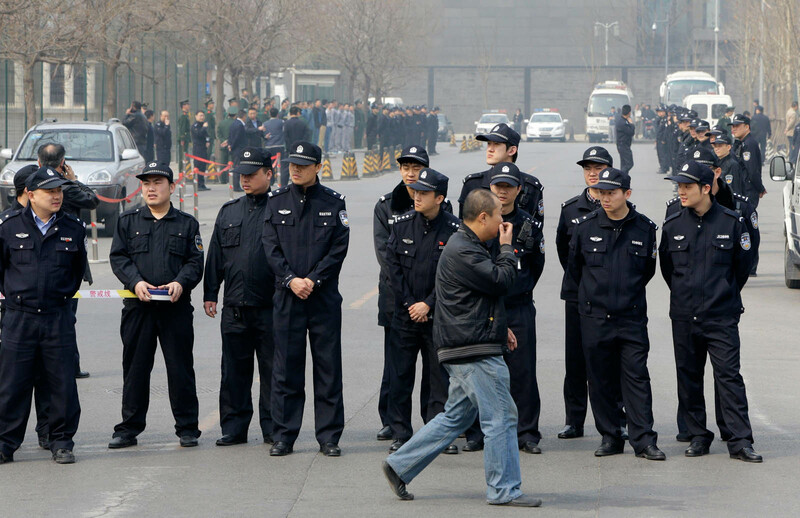 "You still want to take our photos? 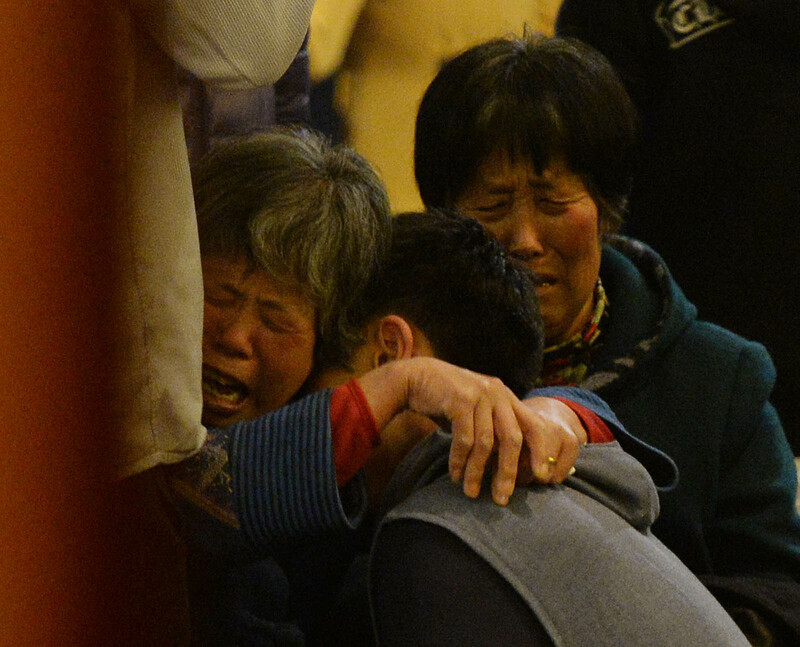 We have lost our loved ones!" 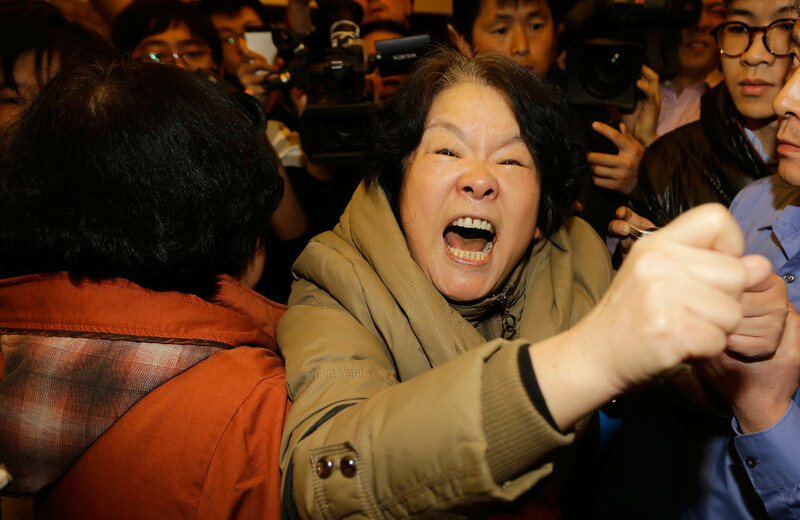 yelled a family member. 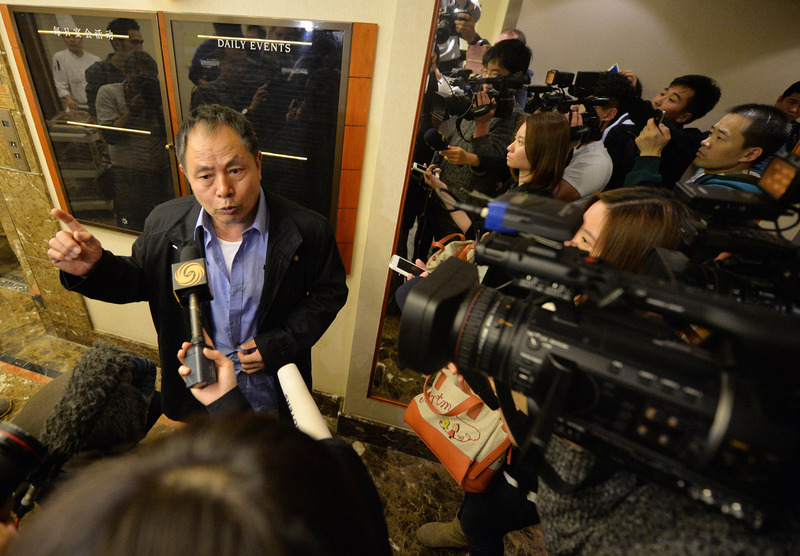 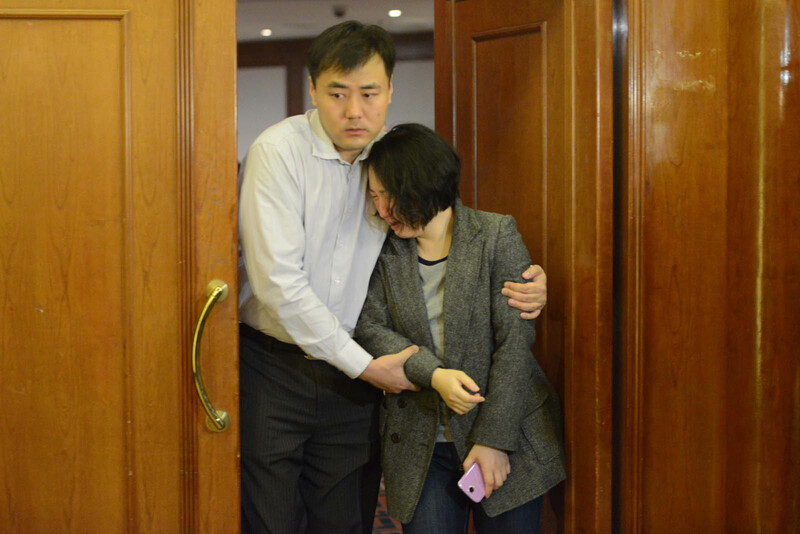 Wen Wancheng (L), whose son was on missing Malaysia Airlines flight MH370, speaks to the media after relatives met again with airline officials at the Metro Park Lido Hotel in Beijing on March 23, 2014. 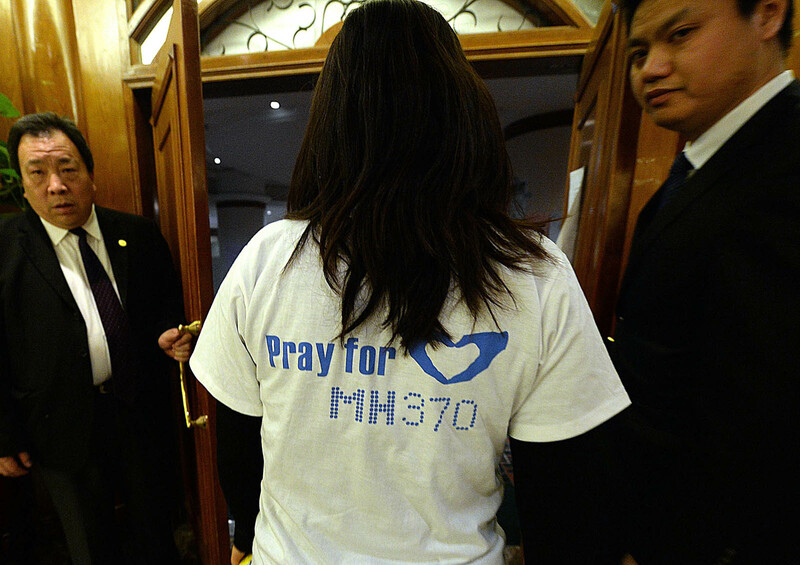 Malaysia said on March 23 it had received new satellite images from France showing floating objects in the main search area for a missing Malaysian jet in the Indian Ocean. 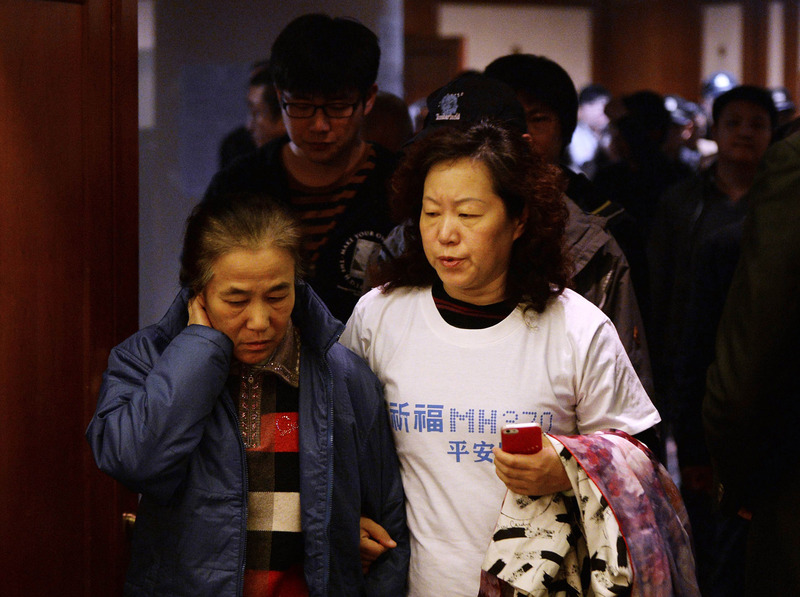 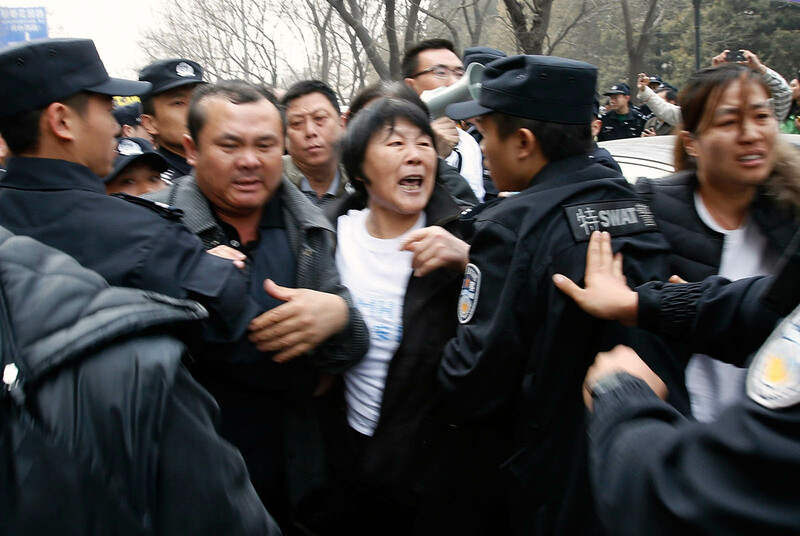 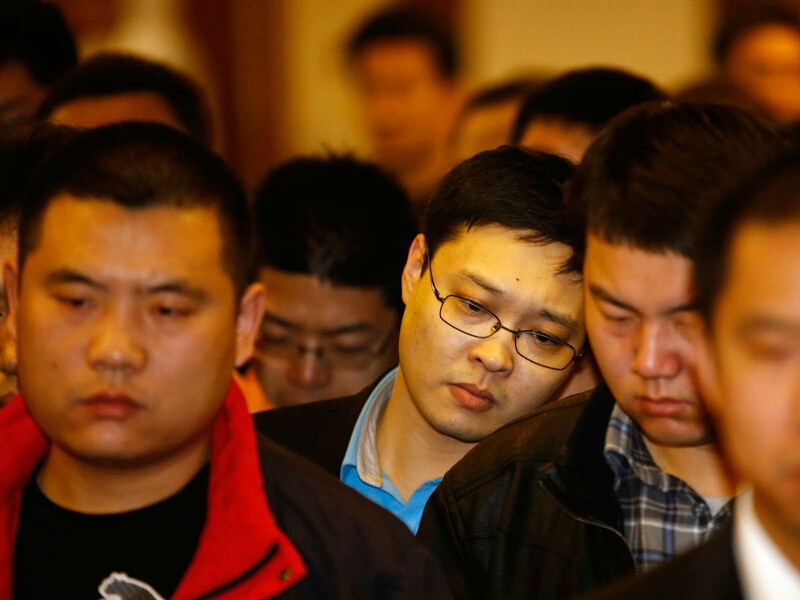 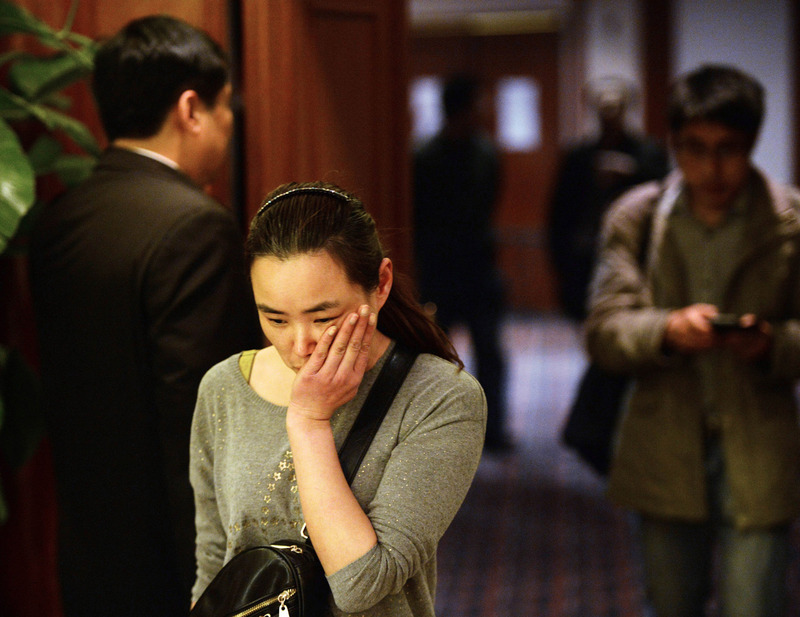 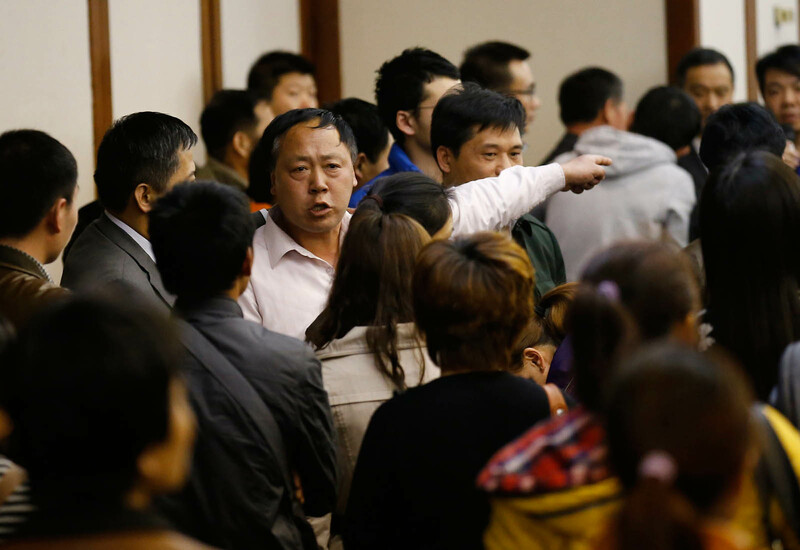 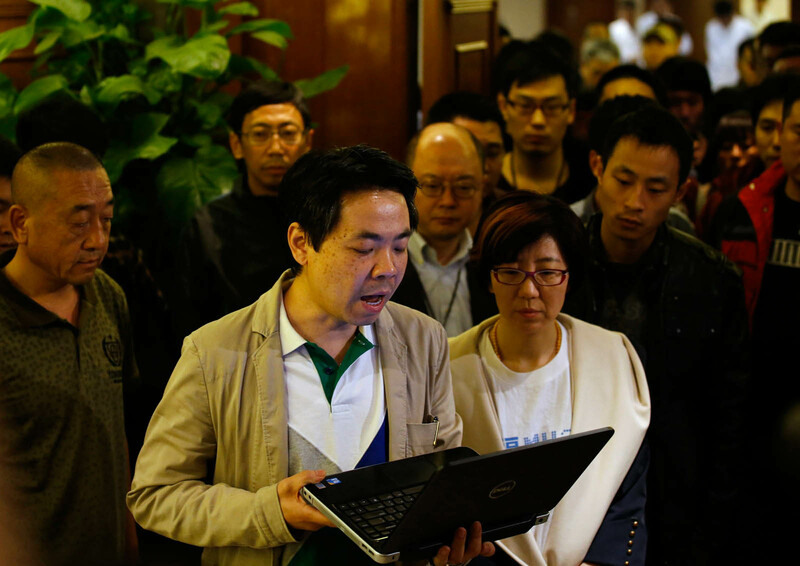 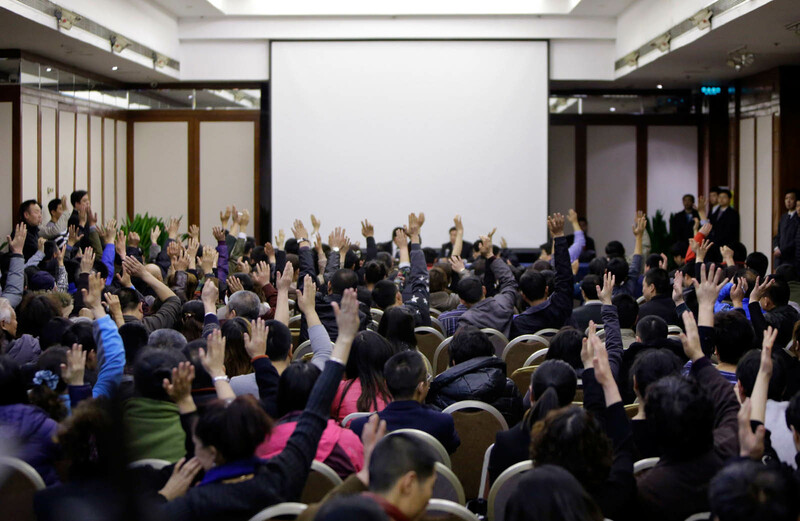 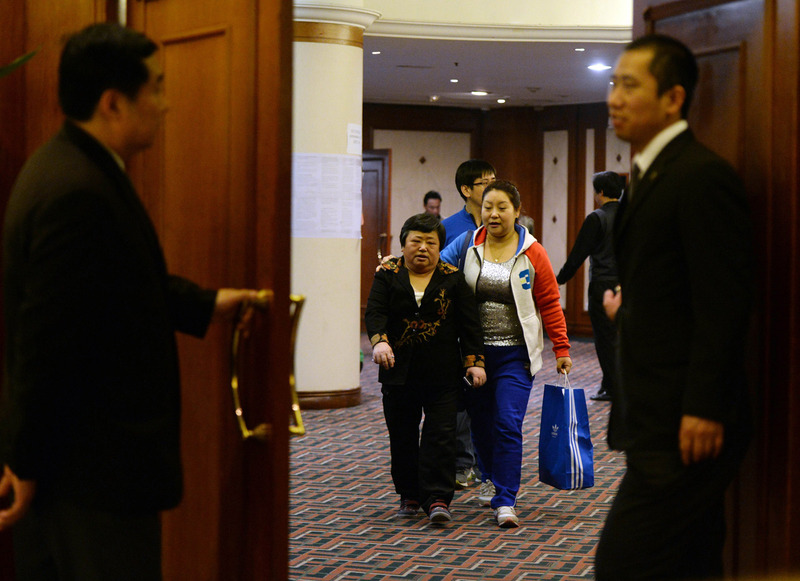 Chinese relatives of passengers from missing Malaysia Airlines flight MH370 leave after another meeting with airline officials at the Metro Park Lido Hotel in Beijing on March 23, 2014. 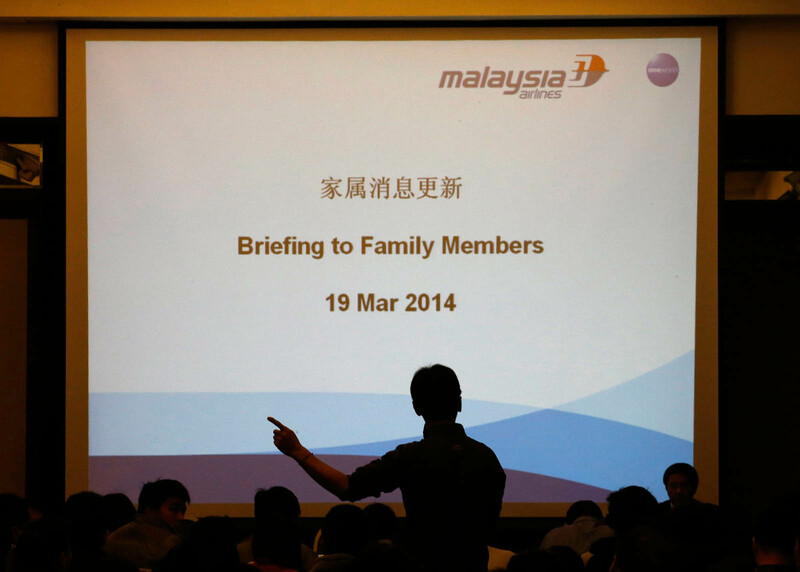 Special envoy to China, Tan Sri Ong Ka Ting (in pink shirt) addresses next-of-kin of Chinese passengers aboard MH370 on March 23. 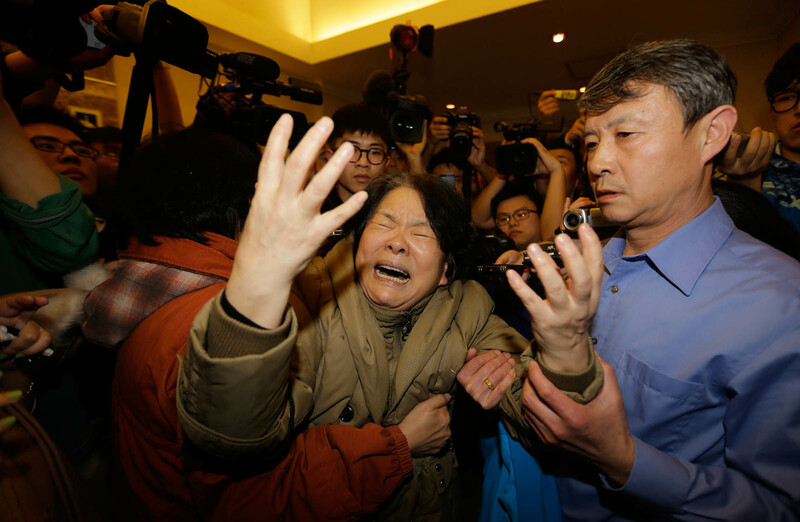 An emotional mother of a missing Chinese passenger on board Malaysia Airlines flight MH370 stormed into the media conference room at Sama-Sama Hotel, near Kuala Lumpur International Airport. 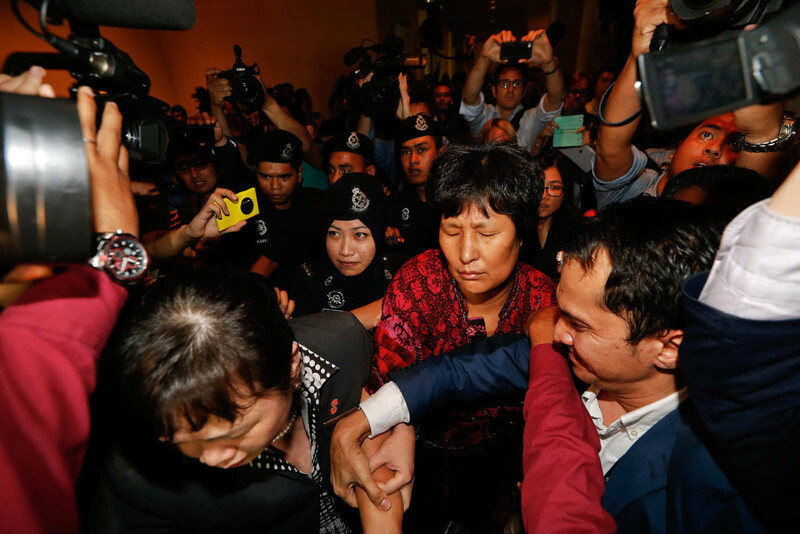 She accuses the Malaysian government of doing a half-baked job and demanding to know the whereabouts of her son. 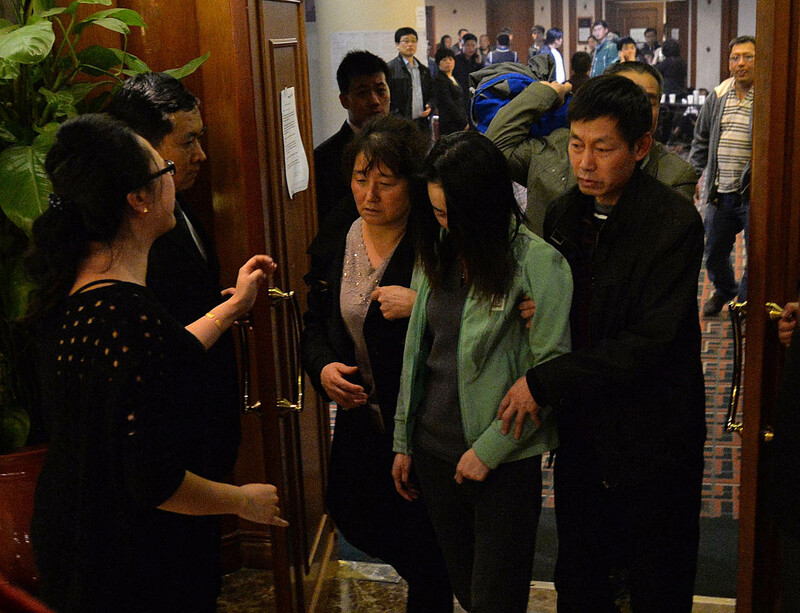 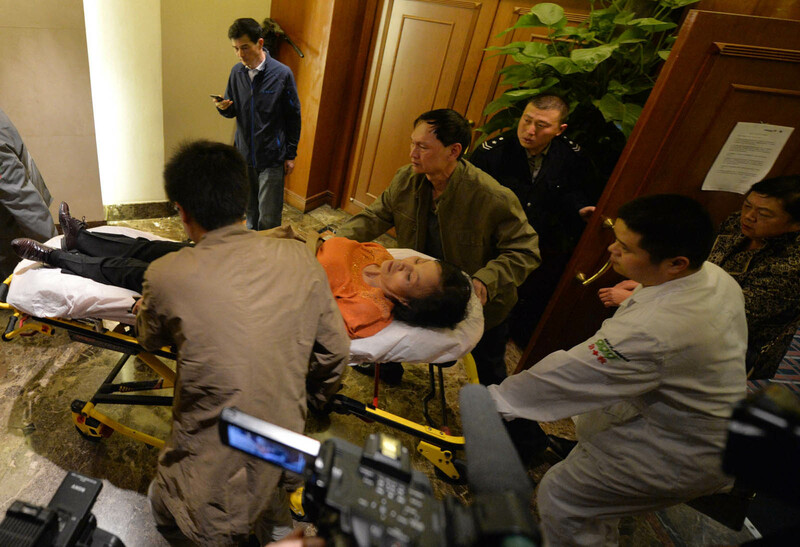 She stormed into the press conference room together with several other family members of the missing Chinese passengers, claiming to represent some 20 family members who simply "can't wait" anymore. 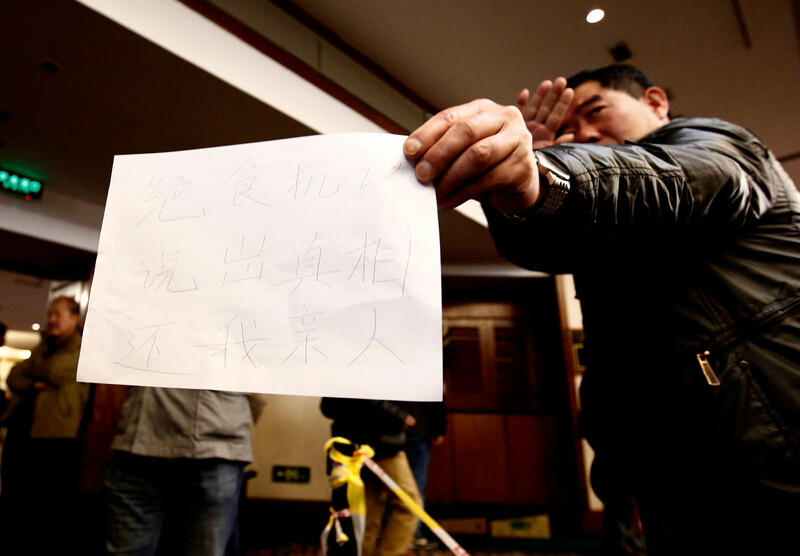 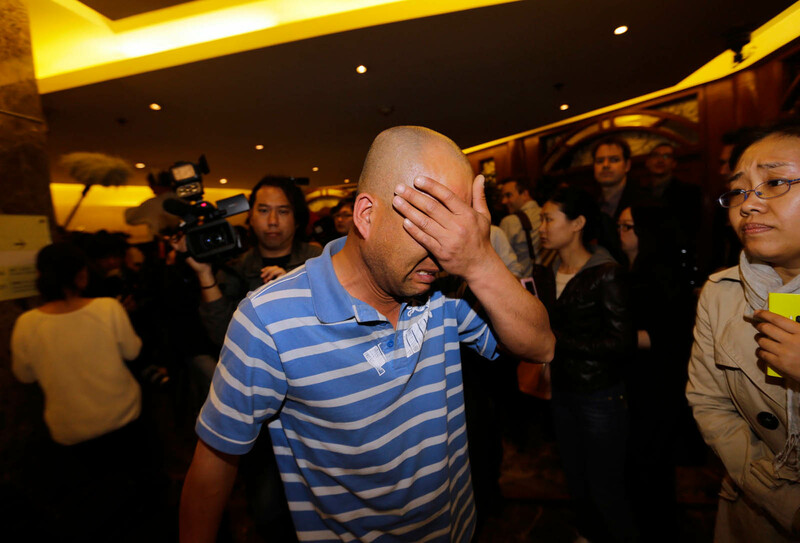 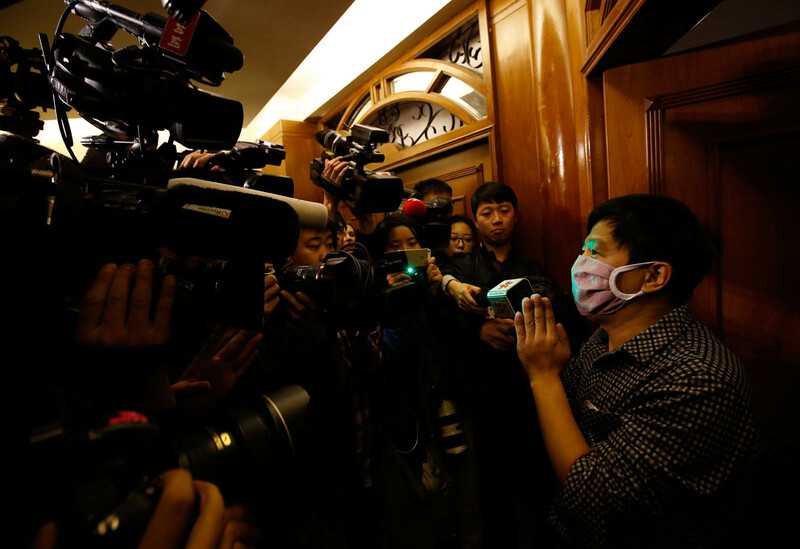 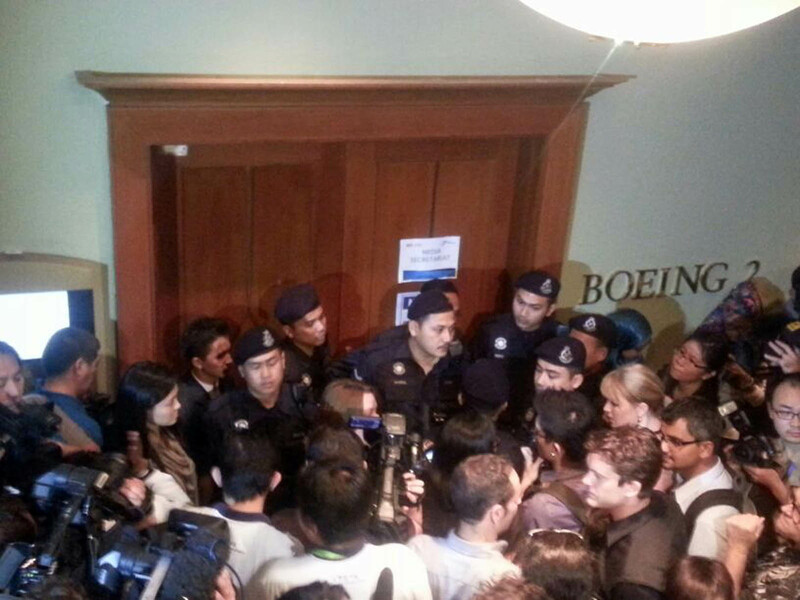 Several emotional family members of the Chinese passengers on board the missing Malaysia Airlines flight MH370 were locked in a media secretariat room, after they stormed into the press conference room in Sama-Sama Hotel unexpectedly. 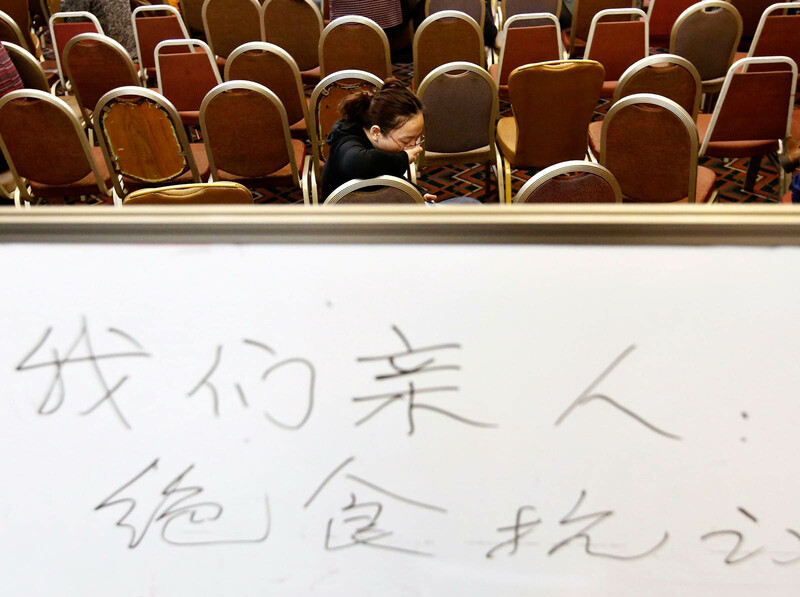 The message on the board reads, "For our families: hunger protest, give back our families, we need the truth."